A member congregation of the Presbyterian Church (USA), Trinity is an open and inclusive church that is both Christ-centered and mission-driven. We are committed to growing together in our walk of faith and serving Santa Cruz and the world at large in the name of Christ. We welcome you to join us for worship, fellowship, and service opportunities. Our Sunday worship service begins at 10:30 am. Adults and children worship together until about 10:50. Following the children's sermonette, children may be excused for Church School, which is provided for ages 5-12. Nursery care is available for children under 5. Music -- predominately traditional -- is a major element of our corporate worship experience. Congregational singing is led by a full choir, accompanied by organ or piano. The Presbyterian Hymnal (1990) is the primary source for hymns. Communion is served the first Sunday of each month. All are welcome at the Lord's table. You are invited to stay for a period of fellowship -- typically a simple offering of coffee, tea, and juice, or occasionally a luncheon -- that follows worship. Please explore the pages of our web site to learn more about who we are, what we believe, and how we act on our beliefs. Don't hesitate to contact us if you have questions or comments. 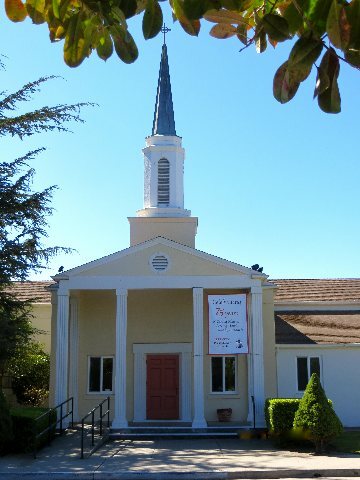 Church facilities are available for weddings, memorial services, and meetings of nonprofit organizations. Contact the office.